Yes, we’re looking at you! 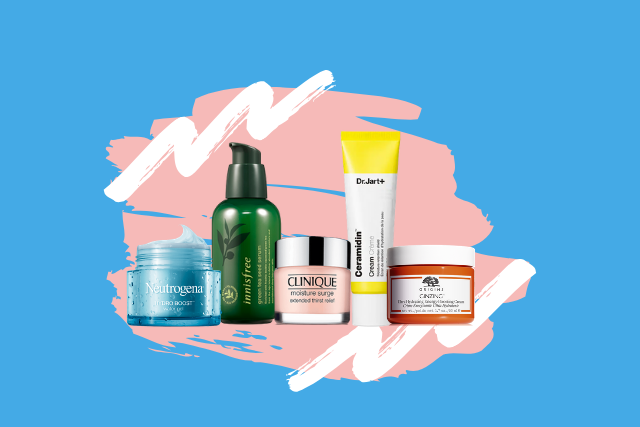 Give your skin its much-needed hydration with these 13 recommended products! 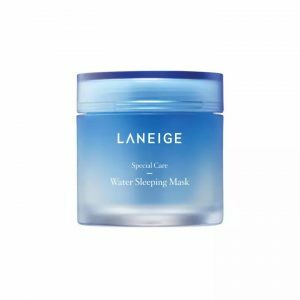 A cult-favourite for very good reasons, the Laneige Water Sleeping Mask is one of the first sleeping masks to make it big in the Singapore market. This best-selling mask is designed with SLEEP-TOX™ technology that purifies your skin, MOISTURE WRAP™ technology that well, keeps your skin moisturised and even an aromatic SLEEPSCENT™ technology that claims to help you sleep better at night. Apply at night, after cleansing, toning and applying emulsion on your face. Dispense an appropriate amount and gently apply it all over face using outward strokes. Leave the mask on overnight and wash it off in the morning. To be used 2-3 times a week. Promising review: “I’m extremely impressed with the results I’ve received from the LANEIGE Water Sleeping Mask! This mask has given my skin that extra moisture it had been missing along with a refreshing glow. I love how light and soothing the mask feels on my face when I first apply it and that it does not bother me to have it on while sleeping. After washing the mask off in the morning, my face instantly feels refreshed and extremely hydrated. This is definitely a product I will be adding to my nighttime skin care routine. And the best part…it’s extremely affordable” – Hope S.
Promising review: “Love this sleeping mask! It really hydrates your skin overnight so when you wake up your skin looks radiant and your skin feels fresh. Perfect to use on those long nights, your skin will thank you the next morning! 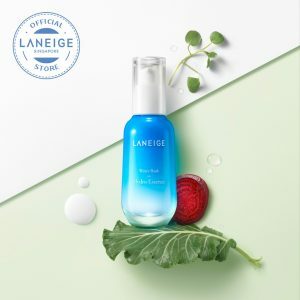 A little goes a long way so this mask will last you awhile.” – Maysa L.
Another highly-raved product from Laneige, the Water Bank Hydro Essence is essentially an essence/serum that helps make your skin look dewy and clear using the Green Mineral Water from vegetables. Yes, you read that right. Vegetables. Specifically, kale, watercress, and beetroot. This “Green Mineral Water” also works great for dry skin because of its “Water Zipper” technology that strengthens the tight junction in the skin, preventing moisture from evaporating from the skin. 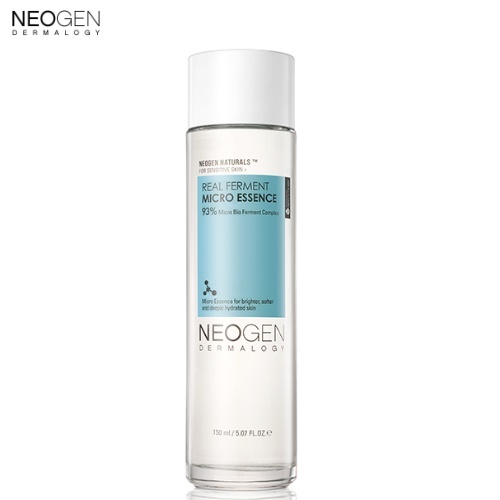 After using skin refiner and emulsion, dispense 2 to 3 pumps and apply on the cheeks, forehead, and chin. Gently spread the content to the rest of the face. Promising review: “Even though this product is expensive, however, it really does a good job at moisturizing my skin and leaves no stinging effect after. The product also doesn’t fill tacky and is decently light. Loved the sample so much that I went out to get the full size! A small pump would be enough for my whole face.” – Gloria L.
Want to achieve that same “chou-chouk” skin as Yoona from Girls’ Generation? 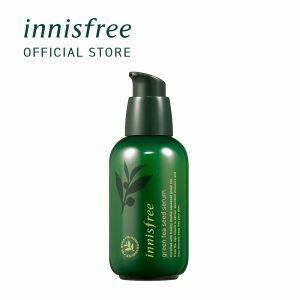 Well, now you can with one of the best-selling Innisfree Green Tea Seed Serum. This serum is famed for being able to deliver hydration and antioxidants from Jeju green tea extracts and seed oil to keep your skin glowing. Besides this, it is also designed with Dual-Moisture-Rising-TechnologyTM that helps prevent water loss and infused with green tea seed oil that creates a moisture barrier on the skin. Apply an appropriate amount onto thoroughly cleansed face and neck then gently smooth the product in for better absorption. Promising review: “I love love love this serum! It moisturises my dry areas on my cheeks. I brought this serum along when I went to Korea during Autumn. It just keeps my skin hydrated the whole day despite my face gets a little crazy in the cold weather. A little goes a long way. 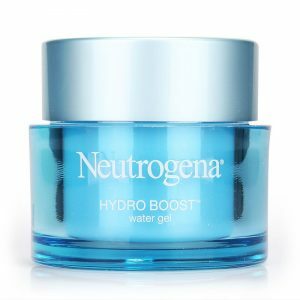 It soaks into my skin really nicely and quickly too.” – Nicole L.
Instantly quench your dry skin to keep it looking smooth, supple and hydrated all day with the award-winning and best-selling Neutrogena Hydro Boost Water Gel. It is also formulated to be absorbed quickly into your skin, providing intense hydration almost instantly. As an added benefit, the gel is also oil-free, and this means that you can wear it either alone or under makeup as a primer! Apply an appropriate amount evenly to face and neck after cleansing. Promising review: “Wow, wow and wow is all that I can say. The gel formula is really easy to apply. With minimum amount used, you can just spread it out easily and can cover almost all your face. It is really hydrating, suitable for anyone who has super dry skin. P.S. 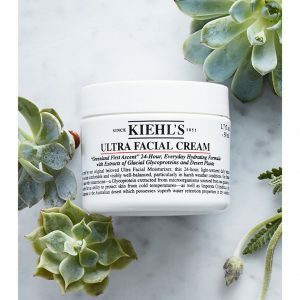 For people with mixed complexion, you can use this on the dry skin area and just avoid the oily part.” – Phoutthapany V.
The best-selling Kiehl’s Ultra Facial Cream promises to provide lasting 24-hours hydration for softer, smoother and visibly healthier-looking skin. It is also known for being super lightweight and non-greasy, which is definitely a plus if you want to wear this under your makeup. Infused with Glacial Glycoprotein and olive-derived Squalane, this facial cream can leave your skin feeling 2.3x more hydrated even at the driest areas! After cleansing and toning your face, apply a dime-sized amount to your fingertips and gently massage onto face in a circular motion. The facial cream can be used during both day and night. Promising review: “Seriously, this facial cream goes on smooth and silky. Even when my face is drier than normal, this cream works well and takes almost no time to absorb fully into my skin. I can feel the immediate effects and the moisturising feel generally last for eight hours or more after each application. I cannot wait to assess the long term effects with consistent use.” – Jenny B. Even up your skin tone with Dermalogica Microfoliant that is able to remove dulling surface debris, revealing brighter and smoother skin. This rice-based powder activates upon contact with water, releasing Papain, Salicylic Acid, and Rice Enzymes, polishing your skin to perfection. To top it all off, this exfoliant is also gentle enough for daily use! Dispense about a half-teaspoon of Daily Microfoliant® into very wet hands and create a creamy paste by rubbing hands together. Apply to face gently in circular motions, avoiding the eye area. Massage gently for one minute, then rinse thoroughly. If you’re familiar with the Dr. Jart range, you’ll know that they’re famous for their innovative yet effective products that can target various concerns from redness to dry skin. 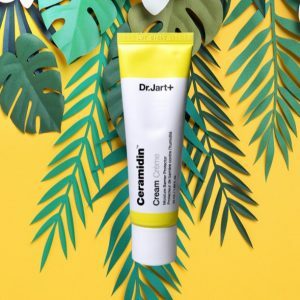 And yes, if you suffer from Dry Skin, you’ll definitely want to try out their Dr. Jart Ceramidin Cream, a deeply moisturising cream supercharged with 5-Cera Complex to fundamentally strengthen the skin barrier and shield from water and moisture loss. Psst, this cream is supposedly environmentally friendly too! Apply on clean and dry skin to deeply moisturise. Can be used in both the morning and night. Promising review: “Love this product! Highly recommend it if your skin tends to be dry. My skin is actually more on the oily side, but I’ll use ceramidin when I travel to colder places and my skin gets flakey. 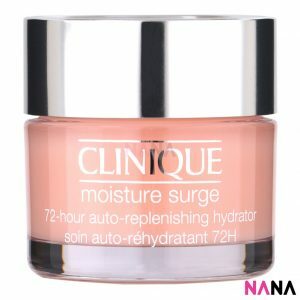 I’m so obsessed that I’m always checking for new products from Dr. Jart!” – Stephanie M.
Part of Clinique’s famed hydration range, the Moisture Surge Extended Thirst Relief is a lightweight, oil-free cream-gel that plumps skin with 24-hour hydration. It is also fragrance-free, making it the perfect moisturiser if you have sensitive skin too. To top it off, this moisturiser gets absorbed so quickly into the skin that you practically forgot you applied it! Psst, this also means that it is great to be applied under makeup during the day! Apply a small amount to face with fingertips. Gently massage the product into skin. Can be used in both the morning and night or anytime your skin needs a moisture boost. You can also try it as a five-minute mask! Simply massage the product into clean skin and remove excess with a tissue. Promising review: “This has been my holy grail for years now. I first got this product in a gift bag and I was pretty skeptical about it since I have dry patches (my cheeks and around my eye area) while my T-zone is basically oil-central. I use this after I wash my facial cleanser and toner step. It definitely helps with my dry patches! For my t-zone, I just go a little lighter on the moisturiser and after a year of using this product I’ve noticed that my face has become a lot more even (the dry patches are less ashy and my t-zone has been noticeably less oilier). 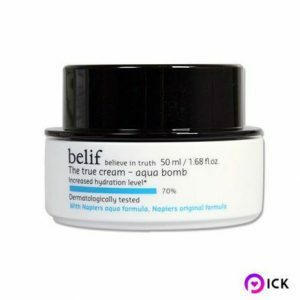 I normally use this in the morning since it’s relatively light and I like my night creams to be heavy and thick, although I know some people do use it for both in the morning and at night.” – Jessica T.
One thing for sure – we absolutely love Belif’s packaging! 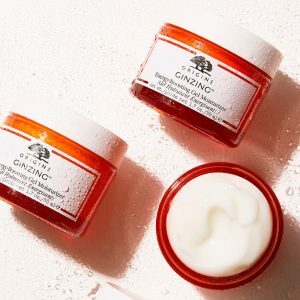 But aside from its aesthetically pleasing bottle, this ultra-lightweight, oil-free gel-cream promises to instantly cool and refresh your skin while providing intensive hydration, which sounds pretty good to us in Singapore’s heat! Containing a blend of apothecary herbs, including antioxidant-rich lady’s mantle which helps neutralise skin-damaging free radicals, improve skin elasticity, and minimise the appearance of pores, this cream is basically (almost) everything you’ll ever need. Interestingly, this refreshing cream is also formulated to burst when applied, releasing a flood of weightless moisture onto the skin for a healthy, smooth, supple appearance. Apply an appropriate amount onto face and neck area. 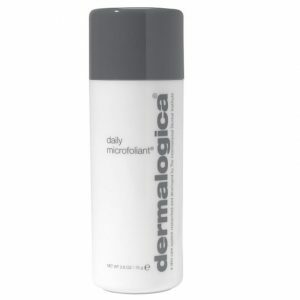 Can be used in both the morning and night and for a mid-day moisture boost, tap product gently into skin. The product can also be used as a makeup primer to hydrate and prep the skin or a 10-minute emergency moisture mask. To use as a mask, simply apply a generous amount to skin and remove excess with a tissue. Promising review: “I have seriously problematic skin — allergies, dry.. you name it, I’ll have it! Tried every moisturiser out there and this is by far THE best in the game. The gel-like consistency sinks into the sink leaving your face super hydrated! And it smells divine. Highly recommended!” – Marjhan K.
The Origins Ginzing Energy Boosting Moisturiser is a lightweight, oil-free, energizing moisturiser that is formulated with Panax ginseng and coffee bean to instantly hydrate and rev up radiance for refreshed, healthy, and vibrant skin. Even if you’re not a morning person, you can certainly look like one after applying this in the morning! Apply an appropriate amount onto face and neck area. Can be used in both the morning and night. You can also apply it during the day as an instant skin refresher. Promising review: “Absorbs quickly before foundation application. Makes your skin look beautifully moisturised and plump. Smells wonderful. 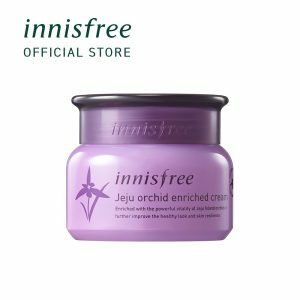 I will continue to repurchase over and over again.” – Gracie C.
Turn back the clock by using the Innisfree Orchid Enriched Cream. This anti-aging cream is formulated with Jeju orchids to give you younger, healthier-looking skin. Infused with Precious Orchid Elixir™, a superior antioxidant ingredient extracted from Jeju orchids, this cream is engineered to make your skin glowing and radiant, while at the same time, strengthening your skin’s barrier. Psst, this cream also smells amazing, making it an excellent night cream! Apply the cream around your face. If your skin is especially dry, apply another thin layer of cream. Promising review: “This is honestly the best cream I have ever tried. I’ve tried at least 6 other ones before and this one always impresses me. I bought it after using up 2 samples of this because I decided it was worth the price. I have very sensitive and dry skin and so I sometimes react badly to products that other women in my family love. But whenever this happens now, I just use this, and the irritation goes away so much faster. It is incredibly soothing, it smells amazing (I was afraid the scent would be too strong since it’s a floral cream), its ingredients are great, and I personally find that it absorbs very quickly and doesn’t leave any residue on the skin.” – Laura C.
If you’re looking for a moisturiser with a unique water-based gel texture, Drunk Elephant B-Hydra Intensive Hydration Gel is the way to go. For a small pump of the product, it promises to provide ample hydration for skin and even dries to a slightly dewy (read: *chouk chouk*) finish that is neither greasy nor tacky, making it excellent to be applied under makeup. Besides this, the gel also contains a wide range of beneficial antioxidants and ingredients, being particularly beneficial for people who suffer from dehydrated skin due to sensitivity, overzealous use of products, or a dry environment. Apply an appropriate amount to face, neck, chest, hands or any place on your body needing increased hydration. Mix with any serum, cream or oil to lock the product in. Promising review: “Wow! I have very dry skin as I’m almost 70. This really did the trick. I never thought my skin would be moist again but here I am with juicy smooth skin again. 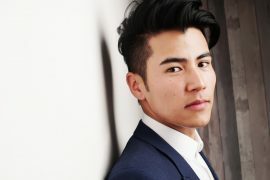 These products from DE are wonderful.” – Schultz P.
Achieve “Honey Skin” (a.k.a. 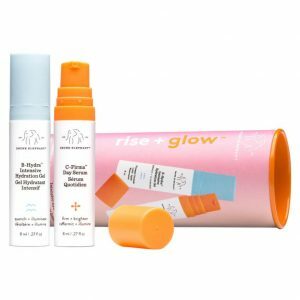 the next level glow after healthy skin) with this product in hand. Containing more than 93% naturally fermented ingredients, this essence promises to deliver almost instantaneous moisture and skin-plumping benefits. 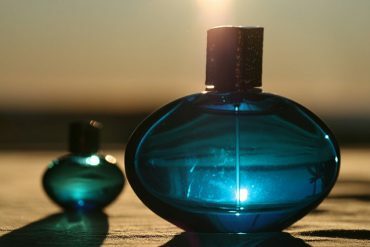 It is also fragrance-free, formulated with 17% birch juice and 9% rice extracts to hydrate and illuminate skin from within. Apply essence daily in the morning and evening after cleansing and toning. Sprinkle the essence into palms or use a cotton pad to gently sweep across the face and neck, lightly patting your skin until the essence is fully absorbed into the skin. Promising review: “Really enjoying this product. It hydrates and is very gentle on my super sensitive skin. A little goes a long way. A few drops and pats on your face is all you really need. I love that it has rice ingredients as rice really helps to soothe and brighten your skin. Really affordable and reasonable price too. Cheaper than a lot of other essences on the market.” – Kayla E.
What is your HG product? Share it with us in the comments below! * TNC Applies. 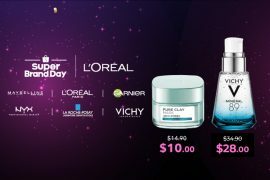 Valid for new users from 17 Apr to 5 May only. Skincare For Sensitive Skin: How To Cope With Sensitivity?